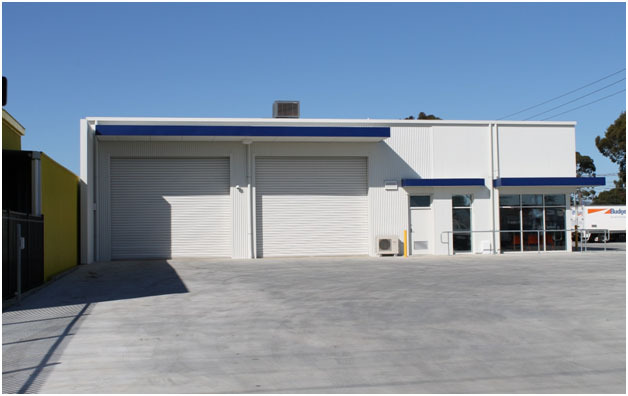 New purpose built premises for Budget Car and Truck Rentals. 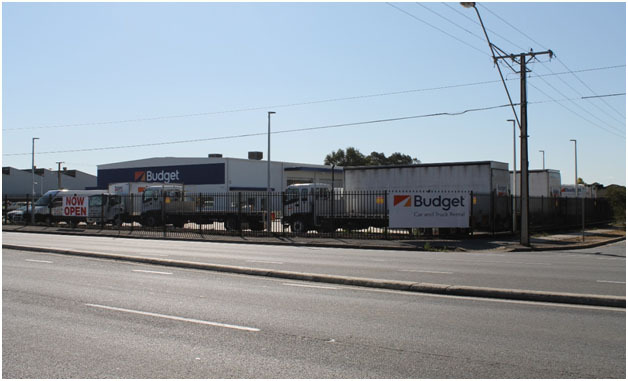 Budget set up a new business on Grand Junction Road at Mansfield Park. The former new and used tyre fitting business had occupied the site for years between Wingfield and Production Roads. Budget bought the site and cleared it so proper waste water and fuel storage facilities could be incorporated on the site, for the washing and fueling of the rental vehicles. These environmental issues needed to be resolved at the planning stage to satisfy the local Council and State Government requirements. The site is excellently located with three street frontages for ease of access and egress. This made the issues of vehicular egress to busy Grand Junction Road easier to accommodate. The building located on the site has been environmentally designed and constructed of insulated wall panels. So the whole project was planned and designed with environmental issues a major consideration hence the extensive landscape plantings also undertaken about the site.